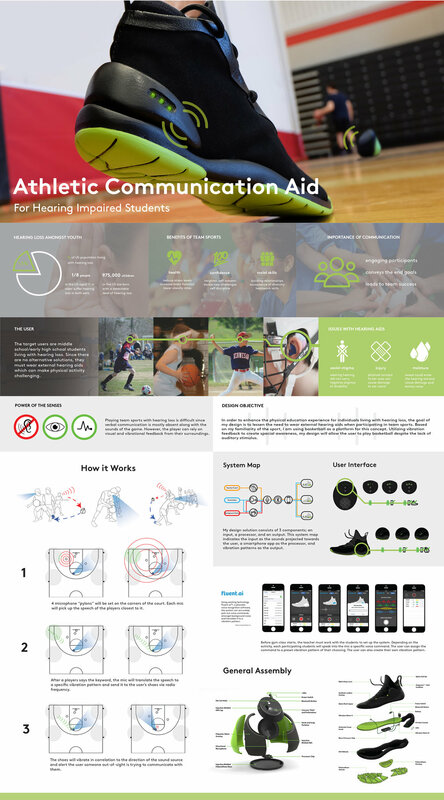 My project is a systems design that assists hearing impaired individuals in team sports, which encourages participation and allows them to gain the benefits of physical education. This system consists of a set of microphone "pylons" paired with basketball sneakers; all connected through a smartphone app. Replacing verbal speech with vibration patterns, my design aims to bridge the gap of communication between hearing impaired and able-hearing individuals to create an inclusive gym class environment. Although basketball is used as a platform for this concept, this system can be applicable to any team-oriented sport as well as coaching applications in the future. 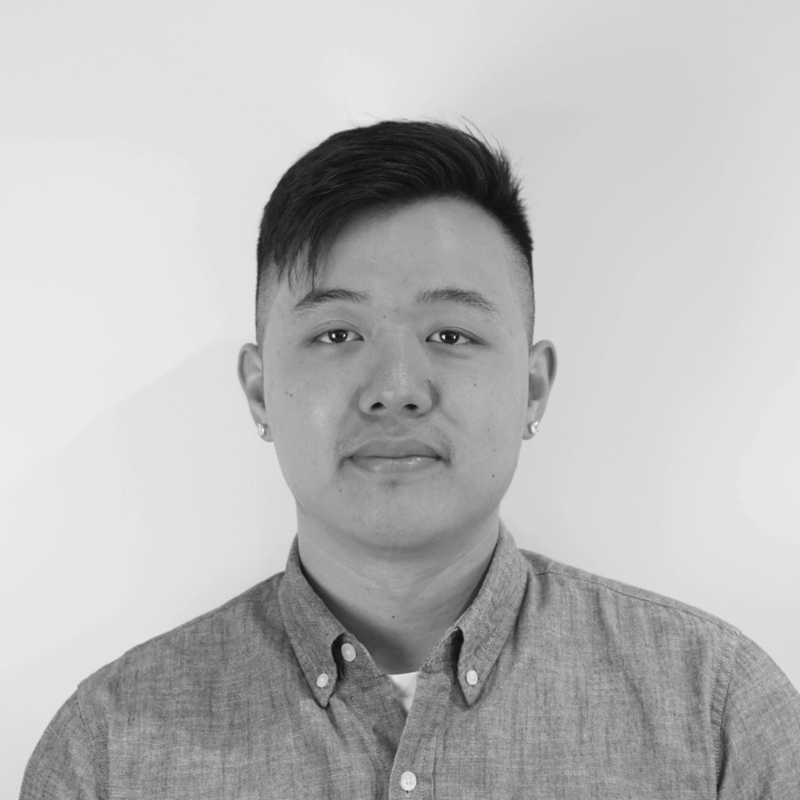 I am an industrial designer with a passion for footwear design. I aspire to create products that will leave long-lasting impressions.